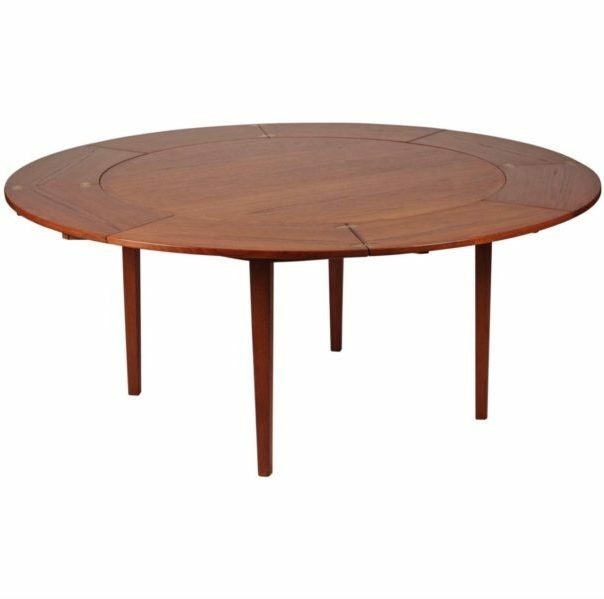 Ingeniously designed by Dyrlund this teak flip flap table or lotus table in teak opens out from a table that comfortably seats four and can then enlarge via hidden flaps to open out to 174cm and seat between 6-8. Professionally restored and refinished to a high standard. Legs unscrew to make this a very practical table to ship and store. Minimum price for the offer must be greater than 3153.5% of the Product.